(click to enlarge)By using streak, I can easily move candidates through the process in an organized manner. It’s really easy to let these things fall through the cracks when you have so much on your plate. With Streak, I know I’ll be able to just click a link to access my funnel. I almost always ask the candidate to add a cover letter and write a specific title in the e-mail subject line so it demonstrates that they can follow instructions. You can easily spot the people that are just winging it versus the people that are detail oriented. (click to enlarge)No cover letter? No go. Easy as that. The entire process of having to create a YouTube video, uploading it, and setting it to unlisted requires some basic technical know how. It allows you to also see how the candidate’s energy is and if you’d really like to work with this person. A question I’d usually ask here is ‘would I get a beer with this person?’. If not, it’s probably not a fit because you want to be working with people that you like. Disclaimer: this isn’t a foolproof method but I trust my gut when it comes to these things (you should too). As Andy said, this step is really where a lot of candidates drop off. Making a video requires courage and a significant time investment for something that isn’t guaranteed for them – it’s a gamble. If you want people that will go the distance for your company without complaining, this is a good starting point. After you go through some of the YouTube videos, it’s on you to decide who you want to move along the funnel to the next step: Skype interviews! Being able to have an actual video conversation chat with someone will give you a good feel for what it’s like to work with this person and if whether they are a fit or not. I’ll usually stick with general questions I use when trying to hire stars and throw in some questions that relate to the job. Now you actually get to meet the candidate in person and go through some tougher questions that might require critical thinking. I’ll ask questions that relate to problems they might be solving on the job and might even give homework on the spot. Take home homework might apply as well (we’d compensate them for the time). After this, it’s decision time. If we do decide to move forward, we make an offer if things look good. The offer is usually for a trial period. Trial periods are always a smart thing to do because you never truly get to know how a team member is until you get to work with them. The standard for a lot of companies is 3 months but 3 months can be a lot to stomach for a startup. There’s a great post on Sequoia’s blog on doing a 5 day trial period right here that is worth a look. YesGraph is a neat recruiting tool that connects with your Facebook and LinkedIn accounts to help you find qualified candidates through your network. In the tech world, a lot of engineers are hired via referral as opposed to standard job boards. YesGraph claims that referrals are the fastest to hire, stay the longest, and come in at the lowest cost. Oh, and top employers like Twitter and Facebook pick up more than 50% of their hires via referral. Andy recommends using a long form job posting format to really engage prospective team members. If you think about it, most companies use generic templates for hiring so why not stand out from the crowd? Hiring is one of the most important aspects of building a business and even if you have a great process, you’ll still get it wrong sometimes. 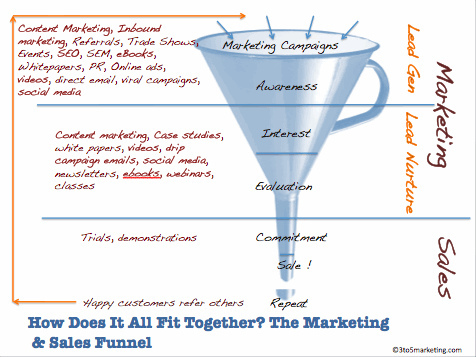 Why not increase the chances of getting it right by having a hiring funnel that makes your life a lot easier?